Thousands of Tibetan students pressed ahead with protests for the second day running amid fears they will be forced to adopt a Chinese-language-only school curriculum, local sources said. About 8,000 students took part in the demonstrations on Oct. 20 at various towns in the Tsolho (in Chinese, Hainan) Tibet Autonomous Prefecture in western Qinghai province, according to the sources. "The participants in the protests were students and we saw no participation from the public. All protest marching was peaceful and orderly," a Tibetan said when interviewed by RFA. The protests erupted a day earlier in Rebkong [in Chinese, Tongren] in the same province over the language concern as fears gripped Tibetans that their culture, language, and national identity in regions ruled by China will be further eroded. Monks had joined the march on the first day of the demonstrations as participants carried banners, written in both Tibetan and Chinese, reading “Equality Among Nationalities” and “Expand the Use of the Tibetan Language,” sources said. The authorities on Wednesday moved to calm tensions as the protests spread. The protests started Wednesday with about 2,000 students demonstrating in a teachers' college and two medical schools. More students joined in as the day progressed. “This morning around 8 in the morning, about 2,000 students of Tsolho Teachers College, and two local medical schools assembled at the school ground. They observed silence and protested against the Chinese language policy in the area," a Tibetan wrote on an RFA blog. "Later they filed in lines and marched towards the town center. They raised slogans demanding restoration of language ownership," according to the blogger. About 4,000 students of the Tsolho Tibetan Language Middle School and Vocational school also marched in the protest against the planned change in language policy. Then, more than 2,000 students of Tsekhog (in Chinese, Zeku) Tibetan Middle School joined the protest lines to back the demand for language rights. A Tibetan from Chabcha (in Chinese, Gonghe) said students in the area joined the demonstrations to vent their anger "against the new government document that stated that all the subjects like science, maths ... will be taught in Mandarin." 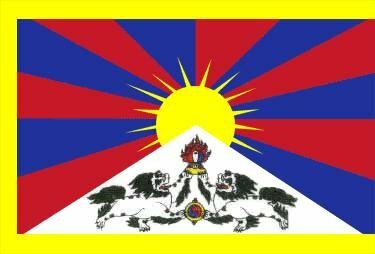 The Tibetan language will be regarded as an optional language and by 2015, it will be treated as an "ordinary" language, the person said. Gyawo (one name only), the governor of Tsekhog (in Chinese, Zeku), addressed the students protesting in his area in an apparent bid to calm down the situation. He said "that in the official documents, the Chinese language is mentioned as the main language of instructions but there is no mention that the Tibetan language cannot be used," according to a local resident.